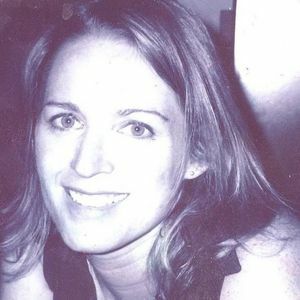 WRUCHA, Wendy Elizabeth, 42, passed away unexpectedly on March 28, 2011. Wendy was a dedicated Speech Pathologist at All Children’s Hospital in St. Petersburg. She loved her work and loved knowing that she made a difference in children’s lives. Wendy graduated with a Master’s Degree from the University of South Florida. Some of Wendy’s favorite things were reading, marathon running, paddle boarding, playing the piano and flute, and being the best and most supportive friend she could be. She is survived by her parents Beverly and Stanley Wrucha, her brother Scott, her sister-in-law Claudia, her nephews Luke and Logan, and the love of her life Erick Lou. A Funeral Service will be held on Saturday, April 2nd, at 2:00 P.M., at Hyde Park United Methodist Church in Tampa, 500 W. Platt Street, followed by a reception at the church. In lieu of flowers, donations may be made to Autism Speaks (1060 State Road, 2nd Floor, Princeton, New Jersey 08540). Would you like to send condolences to Wendy's family? Click below to View the Service Information, Sign the Guestbook or share a special story about Ms. Wendy Elizabeth Wrucha. Would you like to send condolences to Wendy's family? Click below to Sign the Guestbook or share a special story about Ms. Wendy Elizabeth Wrucha by clicking Share A Memory. The guestbook provides friends and family an online version of the guestbook at the Funeral Service. Here you can sign your name and leave your condolences for the family. I searched for you, Wendy, on facebook. I wondered what you've been doing these past years I hadn't seen you. Well, I found you, but now how I had anticipated. I can't even describe the sadness I feel now for your family, for you because you are separated from them for a time. You are such an amazing woman and I always looked forward to seeing you when I worked at ACH. Your face just lit up my heart. You are so caring and gentle and funny, you are incredibly special friend. I talk about you on holidays when I try to recreate your baked artichoke dip with pita chips :) I would tell my family, I just had to try and make it again, but yours was the best!!! Your ACH kiddos loved you to pieces!! Everyone who was blessed to know you loved you and appreciated all you do for others. I am gonna see you again, for sure. I am so saddened to learn of this loss. My prayers go out to her her family. To my dearest family, some things I'd like to say. But first of all, to let you know that I arrived okay. I'm writing this from heaven. Here I dwell with God above. Here, there are no more tears of sadness: here is just eternal love. Please do not be unhappy just because I am out of sight. Remember that I am with you every morning, noon and night. That day I had to leave you when my life on earth was through. God picked me up and hugged me and he said I welcome you. It's good to have you back again; you were missed while you were gone. As for your dearest family, they'll be here later on. I need you here so badly, you are part of my plan. There is so much that we can do, to help our mortal man. God gave me a list of things he wished for me to do. And foremost on the list, was to watch and care for you. And when you lie in bed at night the days chores put to flight. God and I are closest to you.. in the middle of the night. When you think of my life on earth, and all those loving years. Because you are only human, they are bound to bring you tears. But do not be afraid to cry; it does relieve the pain. Remember that there would not be flowers, unless there was some rain. I wish that I could tell you all that God has planned. If I were to tell you, you wouldn't understand. But one thing is for certain, though my life on earth is over. I'm closer to you now, than I was ever before. There are rocky roads ahead of you and many hills to climb; but together we can do it by taking one day at time. It was always my philosophy and I'd liked for you too, that as you give unto the world, the world will give to you. If you can help somebody who is in sorrow and pain; then you can say to God at night. My day was not in vain. And now I am contended that my life was worthwhile, knowing that as I passed along the way I made somebody smile. So if you meet somebody who is sad and feeling low, just lend a hand to pick them up, as on your way you go. When you are walking down the street and you got me on your mind, I am walking on your footsteps only half a step behind. And when is time for you to gofrom that body to be free, remember you're not going you're coming here to me. Wendy will always be one of the most blessed people to ever touch my life. She was my best friend through my college years. We had lost touch as distance and life shifted our course. Still I kept her in my heart as my dear friend. She was consistant in her love, grace, and appreciation for every life she touched. I am will always strive to "be present' like she was in every moment. I will keep her friendship in my heart. I am so heart broken for the great loss of Stan, Scott, and Beverly. I can only hope to have the relationship you all have with my daughter. Thank you for guiding her to the greatness she accomplished. She was consistanly Wendiful because of the love you gave her. God bless you all, God bless us all, and God blessed the planet for having Wendy on it! She will be missed but never, ever forgotten. Do you have a special story about Ms. Wendy Elizabeth Wrucha you'd like to share? Click below to Share A Memory. We're sorry. This feature is not available for this online obituary.